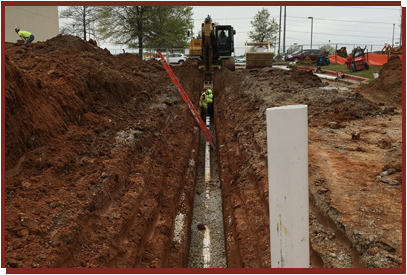 When you need excavation services for your upcoming project, turn to Grinder Excavating Co. Inc. As the premier excavation contractor in Cordova, TN, we guarantee to meet all of your requirements and help make your project a complete success. Hire our team for dirt work done well! We look forward to serving you. J. D. and Cereice Grinder started Grinder Excavating in 1961. Our first backhoe was a Minneapolis Molene Tractor with a backhoe attachment. The second was a Ford tractor with a backhoe attachment. J.D. purchased both machines from Mr. Bill Robinson at Hawkins Equipment, who later started Rebel Equipment that continues operations under his son, Cliff, here in Memphis, Tennessee. In 1963, J.D. standardized his fleet with International® backhoes. In 1968 to ’69, he changed to John Deere®. Finally, in 1969, J.D. went completely with Case and we still proudly use the 580 Cases to this day. J.D. worked tirelessly with a crew of good men to establish the now oldest backhoe service in the city of Memphis. When J.D. retired in the autumn of 1991 after dealing with some health issues following a stroke, his then nineteen-year-old grandson, Shane Grinder, purchased the company. Twenty-five years later, we now celebrate the 55th anniversary of Grinder Excavating. Most of our original hands have passed on, including J.D. and Cereice, though we are pleased to have Tracy Humble as the company vice president and general superintendent, who has been with the company for forty-two years. We are also very pleased to have Carla Poindexter, our corporate secretary and office manager, and Tony Price, our shop manager and field supervisor, both of twenty-five years of exemplary service. We are pleased to announce, Beau Humble, who has been our project manager/estimator for fifteen years, as Vice President/PM. Why Make Us Your Excavation Contractor? Grinder Excavating Co. Inc. is the top choice for outstanding excavation, site preparation, and concrete removal services. 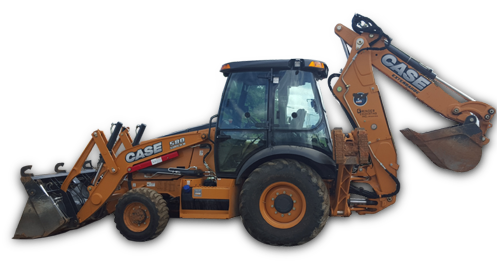 Our consistent delivery of top-notch services, competitive rates, and unparalleled workmanship make us the leading excavation contractor in the area. Turn to us for any excavation and site preparation jobs! Armed with the right equipment, our experts guarantee to get the work done right. Here at Grinder Excavating Co. Inc., we provide honest quotes. Call us today to request a quotation for your next project! If you wish to learn more about our services, please feel free to browse through our website!